(CNN) - The housing market is flashing signs of a bounce back in 2019. That's made it more affordable for people to buy a house -- especially the large number of Millennials looking to purchase their first home. A healthy labor market is helping, too. 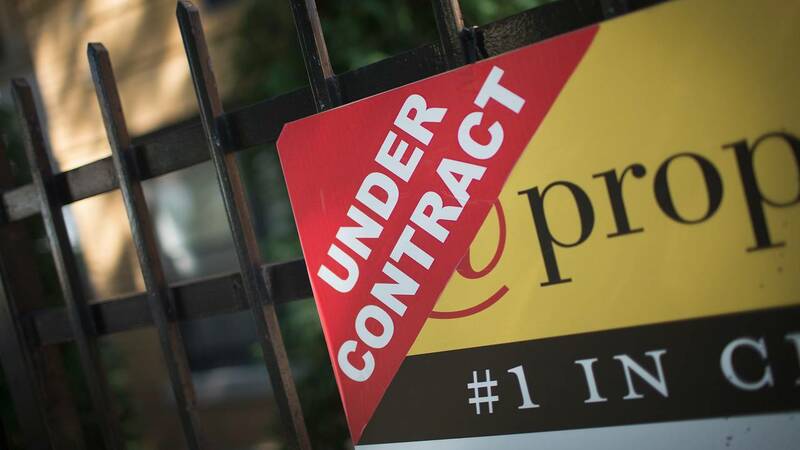 The government-backed mortgage financing company Freddie Mac said Thursday that mortgage rates held steady at 4.45% last week after dropping for six straight weeks. That's another good sign. "Consumer mortgage demand and homebuilder construction sentiment are on the mend, which indicates that lower interest rates are beginning to have a positive impact," said Freddie Mac chief economist Sam Khater in a release. The Mortgage Bankers Association (MBA) also reported Wednesday that lower mortgage rates sparked the biggest weekly jump in demand for new home purchase loans since April 2010. Applications to refinance hit their highest level since last March. Ironically enough, the fears that rattled the stock market at the end of 2018 and start of this year might be helping keep rates low. Mike Fratantoni, chief economist for the MBA, said that uncertainty about the government shutdown, worries about sluggish global growth and Brexit and the resulting volatility on Wall Street have helped keep a lid on long-term bond yields and mortgage rates. He added that the Federal Reserve's new pledge to be "patient" with regards to more rate hikes also bodes well for housing. "The spring homebuying season is almost upon us, and if rates stay lower, inventory continues to grow, and the job market maintains its strength, we do expect to see a solid spring market," Fratantoni said in a statement. Two prominent homebuilders -- KB Home and Lennar -- also seem more bullish. Both reported their latest earnings last week and their executives expressed optimism about the market outlook during their conference calls with analysts. Lennar (LEN) executive chairman Stuart Miller said "there is general consumer confidence" and "that the market is generally healthy." KB Home (KBH) CEO Jeffrey Mezger noted that there was strong demand in some markets that took the biggest hits in the last housing downturn, such as Las Vegas, Phoenix and the Southeast. He added that a low supply of existing homes should help keep prices stable as well. Of course, the biggest risk for housing is whether or not the US economy finally runs out of steam and heads into recession later this year or next. A growing number of experts are predicting a turnaround sooner rather than later. But housing still seems healthy for now. And the blip from late last year could very well turn out to be temporary. An executive at paint maker Sherwin-Williams (SHW), which shocked Wall Street with a quarterly profit warning earlier this week, even suggested that things have stabilized in housing during the past few weeks. Sherwin-Williams senior vice president Robert Wells told analysts that demand for residential paint remains "robust" and added that "this does not appear to be a reflection of a change in the cycle." So as long as mortgage rates remain stable, it looks like fears of another housing market collapse may be overblown.